Linda Greiner fell in love with Shelties when doing research on what type of dog to get for her sixteenth birthday. 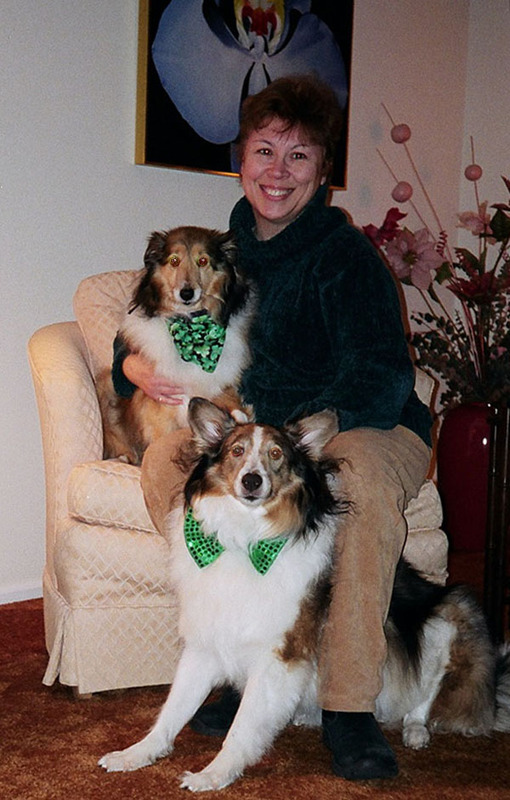 Many years later she decided to adopt instead of buying from a breeder and contacted the Shetland Sheepdog Placement Services of New Jersey (SSPSNJ). Sashi was her first experience with a severely traumatized dog. With love, patience, positive reinforcement training, and the Rescue’s support, they were able to overcome Sashi’s problem behaviors. Linda started fostering in 2003. Each dog has had a tale to tell. A portion of the proceeds from Sashi, the Scared Little Sheltie, Sashi Adopts a Brother and Sashi and the Puppy Mill Girl is donated to SSPSNJ. Rescues can contact njsheltiemom@aol.com for special pricing and bulk orders. Linda resides in Burlington County, NJ and is available for school readings. Please note that all photos and illustrations on this page are (c) copyright and cannot be copied or used without express, written permission of the artist or photographer.